Finally what appears to be a long term truce agreed upon between Israel and Palestine’s resistance movements, Gaza is able to celebrate victoriously. The Netanyahu regime will claim that Hamas has been defeated and dismiss scenes of jubilation throughout the Gaza Strip as a bizarre display. In fact in the hours following the announcement of a ceasefire, Israeli spokespersons seem to have disappeared from the screens of international TV broadcasters. And when Mark Regev finally made an appearance, he was uncharacteristically subdued though still insisting that Israel had won. But did they really win? There can only be one yardstick by which to measure Israel’s claim of victory: the goals it set for justifying relentless savagery. 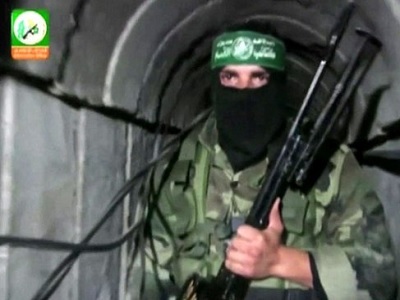 These were to stop Hamas’ capacity to launch rockets; destroy Hamas’ tunnel networks; destroy all of its rocket arsenal; liquidate Hamas’ leadership; cause population of Gaza to rebel against Hamas; sabotage unity pact between Fatah and Hamas. Clearly, based on these objectives, Israel has not only fallen short, it has achieved the opposite results: Hamas retained its defense capabilities; its labyrinth of tunnels; it’s leadership; solid groundswell of support and unity. 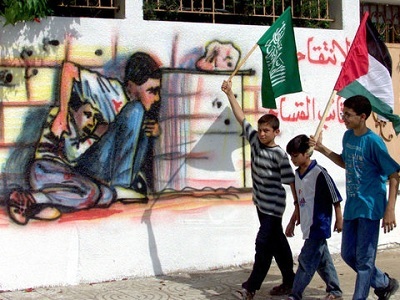 In addition Hamas has emerged as a formidable movement able yet again to reassert its predominance in the political aspirations of Palestinians. That it was able to withstand a nuclear power whose military is equipped with the most sophisticated weapons of mass destruction during an intense 50 day period of carpet bombings, speaks to the enormity of its victory. The asymmetrical conditions that favored Israel included the fact that as the Occupier its suffocating siege of the open air prison restricted people’s movement. Another crucial factor to consider is that the current wave of massacres and wholesale slaughter followed massive destruction of Gaza very recently during “Cast Lead”. How was it possible for a non-state resistance movement in a repressive, confined and besieged territory occupied by the aggressor to regroup, rearm and valiantly defend the population in such a short space of time? It’s a question many military experts and specialist students of guerilla warfare will grapple with for a long time. And though the secret of its success may not be known, one area in which consensus does exist is that Hamas’ refusal to lose denied Israel a victory it desperately sought. So while the celebrations continue and reconstruction commences earnestly, Gaza will bear testimony that its martyrs’ blood will ultimately lead to justice for all of Palestine. The internal bloodletting within Netanyahu’s corridors of power is beginning to escalate into more than a brawl or a dog-fight. From whether its elite soldiers were adequately equipped to engage in hand-to-hand combat with resistance fighters, to whether its intelligence failed to correctly predict the outcome, is the nature of the dissension in Israel. More importantly that its slaughter of babies and entire families has evoked unprecedented global outrage against it, is yet another manifestation of the fact that Israel has also lost in the court of public opinion. There is very little Netanyahu can do to salvage his reputation internally as a weak coward and externally as a war criminal. His failure is symptomatic of the failure of Israel as a settler colonial project. The question of “security” it regularly uses as a crutch to tap sympathy is rapidly evaporating. A sampling of opinions within South Africa attests to this. A number of heavyweight political commentators and media analysts have pronounced their views on Israel which cannot by any stretch of the imagination are dismissed as anti-Semitic. In essence the Steven Friedmans, Aubrey Matshiqis, Ebrahim Fakirs and Eusebius McKaisers along with the Josh Broombergs of South Africa have taken public positions critical of Israel. Will Israel survive this humiliation brought about by its failure to achieve any of its goals? Or will it continue along a path of self-destruction? Will America realize the folly of pursuing failed policies that keeps it entrapped in a region where disengagement requires unbundling from Israel as an immediate urgent remedy for its woes? The days to follow will present new questions as fresh challenges arise, however as far as the Palestinians are concerned, they remain firmly committed to their freedom struggle. The current major victory brings them closer to ultimately overcome the apartheid juggernaut. – Iqbal Jassat is the Executive of Media Review Network, Johannesburg – www.mediareviewnet.com. He contributed this article to PalestineChronicle.com. “All or nothing”? Yes, I believe even psychopathic Israel would be forced to bend under the weight of that determination. The World would have to concede, do we stand by whilst Israel annihilates the whole Nation of Palestinians, the rightful residents of these ancient homelands, or do we finally intercede to kick Israel into the twenty first century.The World has been complicit in this struggle for too long, we have taken too many Israeli pieces of gold and shekels, and, to their everlasting shame, this includes all other Arab and Muslim States World wide. I for one would like to hear the protestations and arguments all other Arab and Muslim states will advance to explain or justify. How does one claim “victory” when the status-quo that he/she fought against hasn’t moved, and the territory where he/she lives has been pulverized? If Israel is a colony, then where is the mother country? Palestinians view their struggle to be the same as other national liberation struggles (in Africa for example). While those countries were able to kick the colonialist british or french back to UK or France, where are the “colonialist” israelis supposed to go back to? Their backs are against the wall (or rather the sea), that’s what palestinians need to understand. Israelis will not commit suicide and march willingly into the sea, just because they are fed up with wars, or scared of rockets.